Home #maketurtleislandgreatagain THE ALGONQUIN BIBLE? REALLY!!!!!! 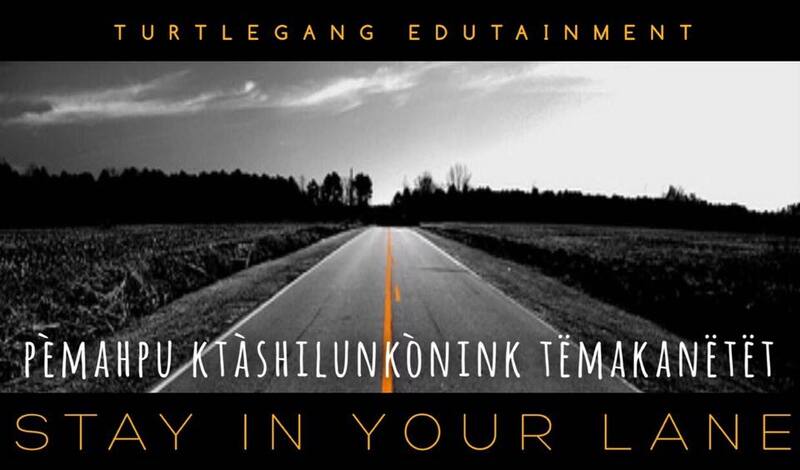 Algonquin (also spelled Algonkin; in Algonquin: Anicinàbemowin or Anishinàbemiwin) is either a distinctAlgonquian language closely related to the Ojibwe language or a particularly divergent Ojibwe dialect. It is spoken, alongside French and to some extent English, by the Algonquin First Nations of Quebec and Ontario. What language did the Algonquian speak? Algonquian and Algonkian both refer to the Algonquin language or to the group of tribes that speak related dialects. 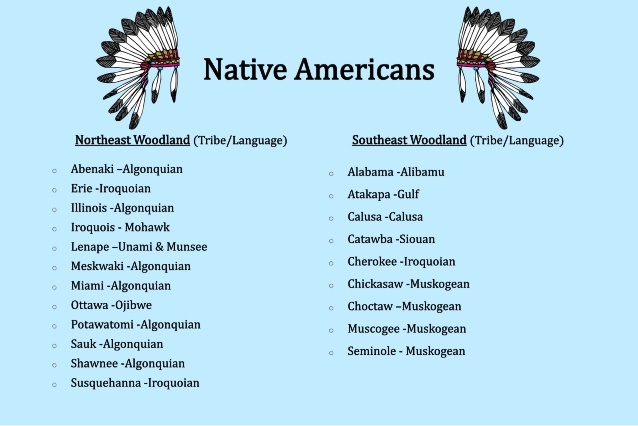 Therefore, the Algonquian tribes (including the Delaware, the Narragansetts, the Pequot, and the Wampanoag) are so called because they all speak the Algonkin or Algonquin language. Pre-contact distribution of Algonquian languages. Question: Are Amerindian languages descended from Hebrew, Ancient Egyptian, Scandinavian or Celtic languages? Answer: No. 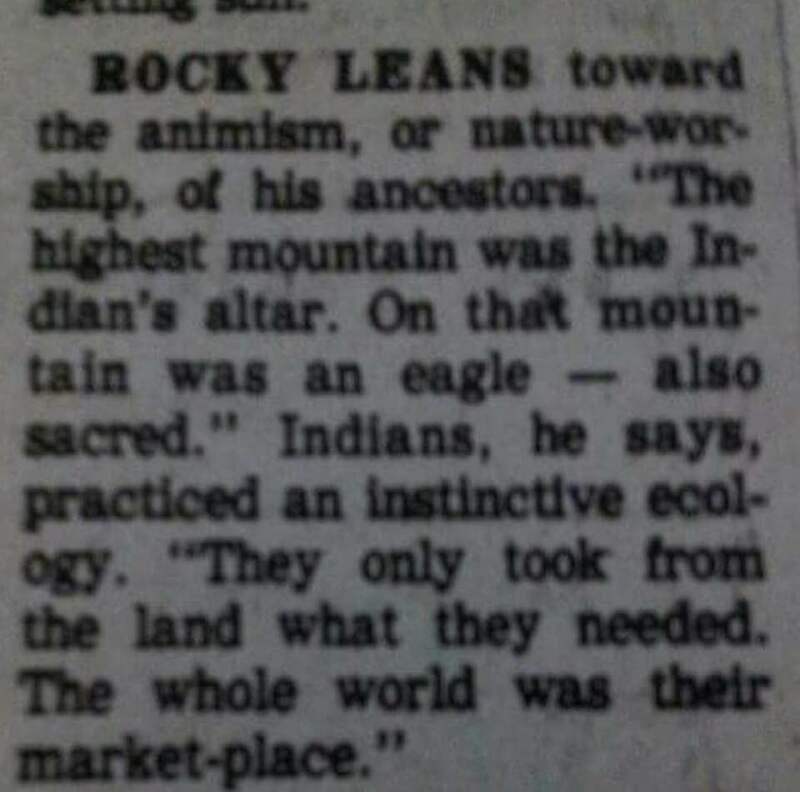 The people who claim this are trying to prove that American Indians arrived in the Americas very recently (see Could Native Americans be recent immigrants? and Are Native Americans a lost tribe of Israel?) I have seen many websites claiming to “prove” that Amerindian languages are descended from Semitic or Germanic languages. 90% of these websites are deliberately lying, making up nonexistant “Algonquian” words that resemble words from Semitic languages. A quick glance at a dictionary of the Amerindian language in question will reveal these websites for what they are. The other 10% are using linguistically unsound methods–searching two languages for any two vocabulary words that begin with the same letter, essentially, and presenting them as evidence. Using this method, English can be “proved” to descend from Japanese–English “mistake” sounds a little like Japanese “machigai”. In fact, if you randomly generate some vocabulary with a computer program, you will be able to find a few words with surface resemblance to any language you want. Real linguistic analysis requires dozens of vocabulary relationships which are regular and predictable, as well as similarities in phonology and syntax, to show that one language is related to another. Here’s a good website by a Welsh speaker explaining the substantial linguistic differences between Mandan and Welsh, for example, or a website by an Athabaskan linguist explaining the differences between Carrier and Celtic. No linguist has ever shown a relationship between any Amerindian language family and a Semitic, Germanic or Celtic language. 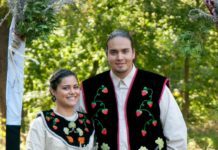 The Algonquian are one of the most populous and widespread North American native language groups. Today, thousands of individuals identify with various Algonquian peoples.In Eastern Algonquian religion they believed that there was a spiritual world that interacted constantly with the physical world. There was a belief in a primary spirit or animating force that encompassed all existence. Algonquians called this animating spirit ‘Kitchie Manitou’ or the ‘Great Spirit’. The Americans eventually relocated them to Oklahoma, where the modern Delaware Indian tribes are located today. Other Lenape people joined the Nanticoke or Munsee Delawares. There are also some small Lenne Lenape communities remaining in New Jersey and Pennsylvania. The total Lenape population is around 16,000. The idea of Native Americans being the lost tribes of Israel is based on the observance of the early settlers who wrote of accounts in their personal journals. This combined with the biblical narrative and a lack of education in linguistics produces circumstantial evidence that lead others to believe Native Americans are the lost tribes of Israel. 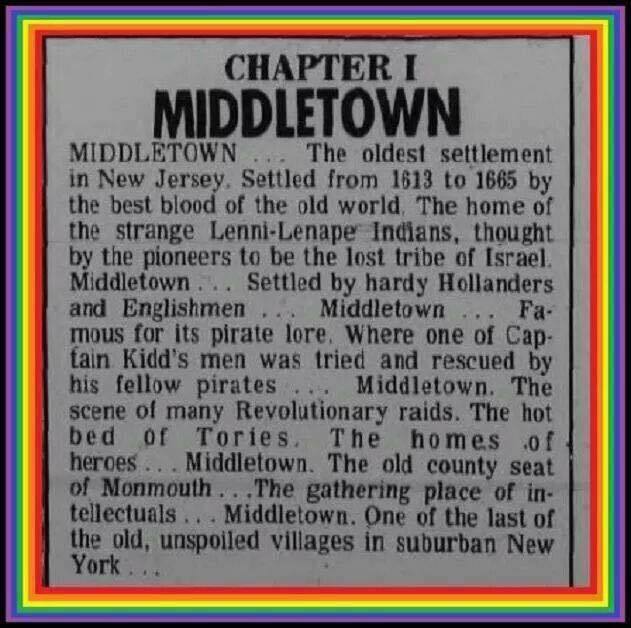 So as you see based on the dates of the 1st Colonial village founded in what would become Middletown New Jersey (1613 to 1665), the idea of Native Americans being the Lost tribes of Israel predate the works of James Adair. Adair’s career as an Indian trader and agent for South Carolina would make him worthy of historic attention, but it is his book that sets him apart from other notables of the day. 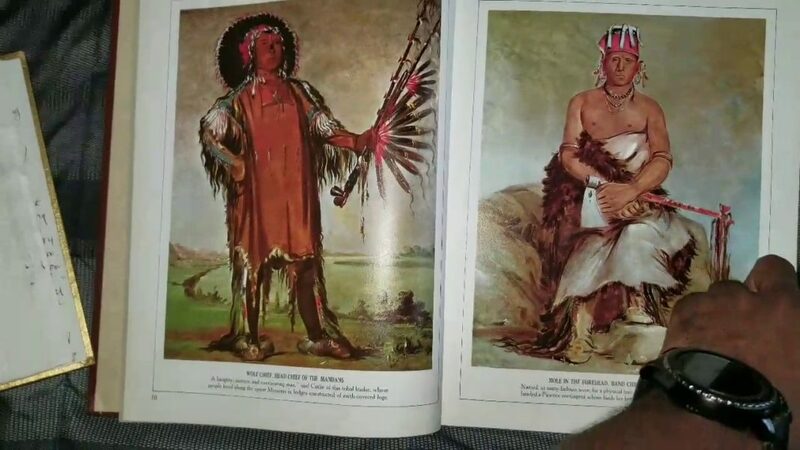 By the time the work was published, he had developed it from an event-driven narrative designed to expose his political enemies and salvage his reputation into a complex examination of the origins of the American Indians. 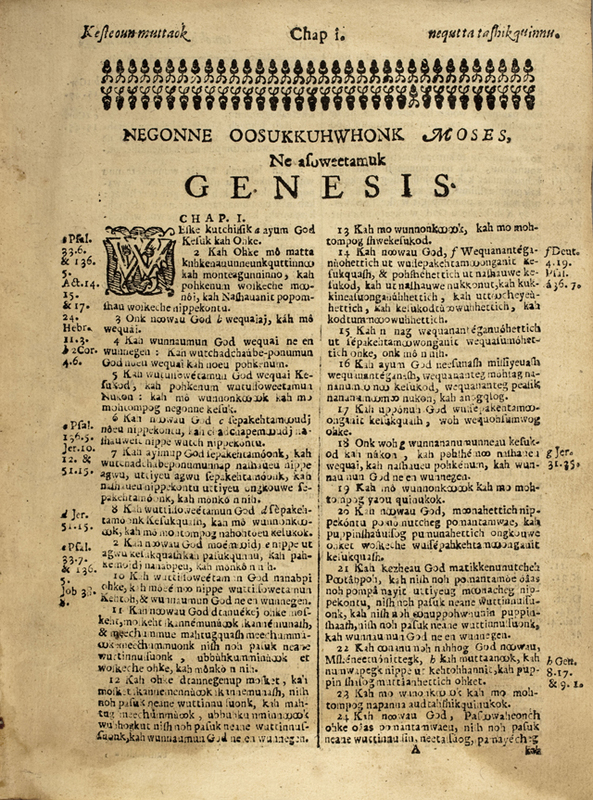 The book details important events between the 1740s and the 1770s and the central thesis, which dominates the text and has subsequently caused many to dismiss the contents, includes 23 arguments purporting to demonstrate that the American Indians are of Hebrew descent (the Lost Tribes of Israel). But as modern scholars have observed, while Adair’s central thesis is flawed, the evidence he presents and his sincere effort at comparative analysis of cultures has resulted in an astounding work on southeastern Indian culture, examining in detail such topics as gender roles, religion, warfare, marriage customs, and language. More importantly, Adair’s intense focus on matters of ritual purity has influenced the interpretative framework developed by modern anthropologists and ethnohistorians. Prior to the Adair findings was the publishing of the Algonquin Bible. Sadly, the many tribes that make up the diverse people-group that is collectively referred to today as “Native Americans” have for centuries continued to exhibit a stronger resistance to the Gospel and the “White Man’s God” than perhaps any other culture in the world. 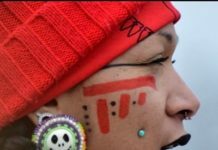 The result has been that the Native American Indians today have a higher rate of alcoholism, drug addiction, gambling-addiction, poverty, and suicide than any other culture in the world. In this we see clearly demonstrated, the multi-generational wages of rejecting the Gospel. The main reason why there were no English language Bibles printed in America until the late 1700’s, is because they were more cheaply and easily imported from England up until the embargo of the Revolutionary War. But the kind of Bible John Eliot needed for his missionary outreach to the native American “Indians” was certainly not to be found in England, or anywhere else. It had to be created on the spot. 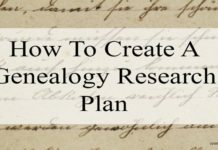 Eliot recognized that one of the main reasons why the native Americans were considered “primitive” by European settlers, is that they did not have a written alphabet of their own. They communicated almost exclusively through spoken language, and what little writing they did was in very limited pictorial images, more like Egyptian hieroglyphics than that of any functional alphabetical language like those of Europe or Asia or Africa. Clearly the Word of God was something these people needed if they were to stop worshiping creation and false gods, and learn to worship the true Creator… but God’s Word could not realistically be translated effectively into their primitive pictorial drawings. So Eliot found a wonderful solution: he would give the native Americans the gift of God’s Word and also give them the gift of true literacy. He agreed to learn their spoken language, and they agreed to learn the Western world’s phonetic alphabet (how to pronounce words made up of character symbols like A, B, C, D, E, etc.) Eliot then translated the Bible into their native Algonquin tongue, phonetically using our alphabet! This way, the natives did not really even need to learn how to speak English, and they could still have a Bible that they could READ. In fact, they could go on to use their newly learned alphabet to write other books of their own, if they so desired, and build their culture as the other nations of the world had done. What a wonderful gift! So as you can see the efforts to civilize us aka christianize or even better romanize us had begun almost 100 years prior to the arrival of James Adair. All the evidence that points towards the Native Americans being the Lost Tribes is all circumstantial. With the exception of a few Cherokee Tribes that migrated from the Middle East, (ALL NATIVE AMERICANS NATIONS ARE NOT THE LOST TRIBES OF ISRAEL). We have village and mummified remains from here that predate the biblical narrative. And finally, NOT ONE NATIVE AMERICAN NATION CLAIMS TO BE DESCENDANTS OF THE LOST TRIBES OF ISRAEL. The notion was revived after James Adair, a 40-year veteran Indian trader and meticulous chronicler of the Israelitish features of Native American religion and social custom wrote The History of the American Indians…Containing an Account of their Origin, Language, Manners, Religion and Civil Customs in 1775. Even Epaphras Jones, an American Bible professor engaged the theory in 1831, claiming that anyone “conversant with the European Jews and the Aborigines of America… will perceive a great likeness in color, features, hair, aptness to cunning, dispositions for roving, &s.
incident, Mordecai Manuel Noah, the journalist, playwright, politician, and Jewish American statesman, began spilling ink about the subject. Noah wrote a play She Would be a Soldier; or, The Plains of Chippewa (1819), that resolved the tension between the Yankees and the British by identifying the Indian Great Spirit with the God of the Bible. Noah’s ideas about Jewish-Native affinities grew in a distinctly political manner when he invited Natives Americans to help settle “Ararat,” the separatist Jewish colony he hoped to establish on Grand Island on the Niagara River around 1825. THIS WAS A CONVERSATION INTRODUCED AND THEORIZED BY YOUR OPPRESSORS, THE SAME OPPRESSORS WHO FOUND YOU HERE, LEARNED FROM YOU, AND THEN ENSLAVED YOU AND WROTE YOUR TRUE IDENTITY OUT OF HISTORY. WE ARE SELF DEFINING NATIONS WITH OUR OWN HISTORY AND LANGUAGES. RESPECT US FOR WHO WE ARE, NOT WHO YOU WANT US TO BE. In his article Titled, “Does Bible Prophesy Book of Mormon?“, Gerald Sigal explores the Moran assertation that the Native Americans decent from the Lost Tribes. Jewish tradition tells us that at the end of times, the Messianic Era, all the tribes will be reunited in Israel. And say to them, So says the Lord God: Behold I will take the children of Israel from among the nations where they have gone, and I will gather them from every side, and I will bring them to their land. So there you have it, Judaism 101.